Empowered by supporters like you, Indiana Wesleyan University has been inspiring greatness in others for over 90 years. Your contributions help give students access to the financial aid they need, making IWU’s matriculation rate of low-income students the third highest in the nation according to Washington Monthly. And through the generous gifts of alumni and friends, IWU is now the largest private university in Indiana and in the Council for Christian Colleges & Universities. And together, we can do so much more. 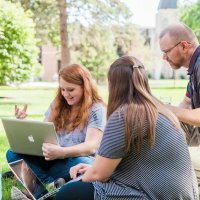 Your gift today can help make an IWU education possible for more students to come which will provide the church with men and women ready for tomorrow’s challenges through a steadfastly Christian university. 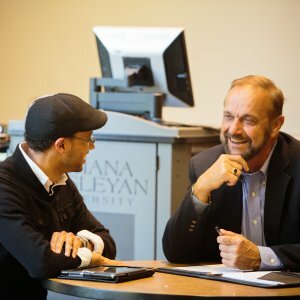 Your generous donation today helps expand IWU’s reach to the edges of the world through nationally-recognized non-residential adult learning programs at our 18 online and regional onsite learning centers. Together We Can Impact the Future. When you give today, you’re making it possible for students to have individual mentoring relationships with faculty who are leaders in their fields. 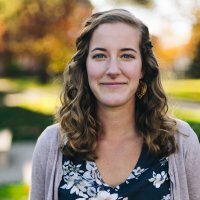 Help IWU students become world changers. When you give to help students achieve an IWU education, you instill service-based ideals that prepare them to be change agents in the world. So, please give as generously as you can today to make it possible for more students to experience the life-transforming power of an Indiana Wesleyan University education. 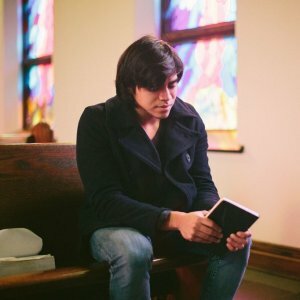 Your church can give to support IWU students. And these gifts will be doubled—and sometimes tripled!—to help IWU students in your congregation fulfill their God-given calling. 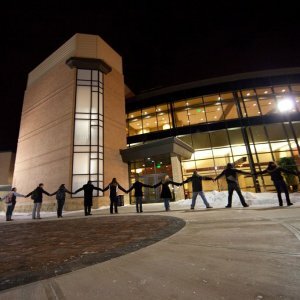 Join the Leadership Circle and become a part of a group of people dedicated to IWU students through prayer, advocacy, and financial support.